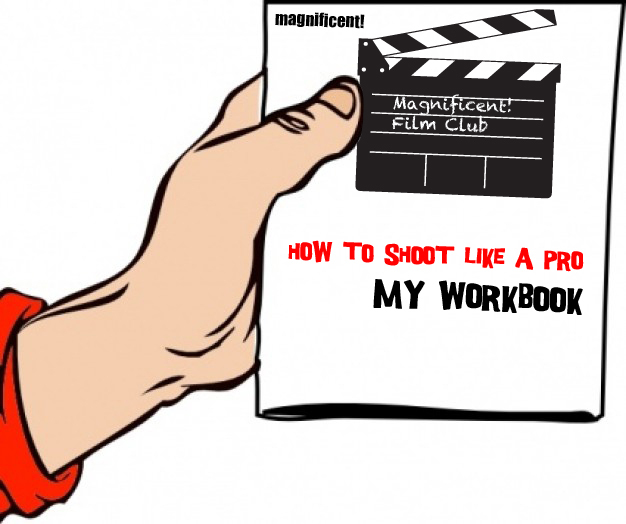 Training – Young Directors – magnificent! We run weekly afterschool clubs for young people who want to learn how to make films. The aim is to make students capable of making their own films from scratch by working together on group projects over the term. Each student gets their own custom made workbook. We will have guest lectures from colleagues at the BBC – from camera operators to directors. Classes run at the Round Chapel, Lower Clapton Road on Tuesday evenings. There is a class for 9-11 year olds 4-5.30pm. This is followed by a class for 12-15 year olds 5.30-7pm. We are running week long courses during the summer. These will be from 9am-5pm, Mon-Fri. During the course we will show students how to make films with an iPad but also write and make a film together using professional cameras, sound and lighting. We made the following film in one day with students on our Easter course. All students are expected to join in with the filming and the acting. Aug 7-11 2017 @The Round Chapel, Lower Clapton. 9.30am-5pm. Aug 14-18 2017 @The Round Chapel, Lower Clapton. 9.30am-5pm. Book your place now. Limited places. Our 5-day intensive courses for 9-15yo are designed to introduce basic concepts of filming and editing. After working on a couple of projects, these will be edited by the course tutors and made available after the course with every student getting their name on the credits. Day 1: We will cover the basics of lighting, camera and sound using ipads and work in groups on projects in the afternoon. Day 2: More shooting and a beginners guide to editing. Day 5: Second and final day of shooting. There will hands-on training on how to operate the camera, but also on how to compose a shot. We will use real TV lights to teach the basics of lighting for interview and drama. All the tutors are ex-BBC producer/directors. This is a rare chance for young people with a genuine interest in film-making to learn from professionals. EVERY TUES 4-5.30pm @The Round Chapel, Lower Clapton Road. We will cover the basics of lighting, editing, sound and scriptwriting using apps that anyone can buy from the app store. 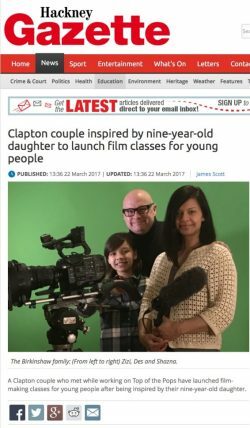 For 9-12 year olds, our Tuesday evening club at the Round Chapel in Hackney, will teach students how to make use of the equipment people have at home – ipads, iphones etc. By the end of the term we will have the students making professional looking youtube films. For these films we will also make use of green screen, proper broadcast cameras and professional microphones. In the second term, we will work on a group film – maybe a drama, maybe a documentary – whatever the students collectively want to do. EVERY TUES 5.30-7pm @The Round Chapel, Lower Clapton Road. We will also cover the basics of lighting, editing, sound and scriptwriting using smartphones etc but will also use a large camera – the Sony FS7 – the sort of camera professionals use. There will hands-on training on how to operate the camera, but also on how to shoot properly. We will use real TV lights to teach the basics of lighting for interview and drama. Half the lesson each week will be spent on theory and ideas, the other half on practical work with the lights, cameras etc. The course begins April 18th at the Round Chapel, Lower Clapton Road. During the summer term we will be working on a project chosen by the students – it could be a documentary, a pop promo or the filming of some drama. All the tutors are ex-BBC.